Last weekend, the long weekend, I was surrounded by people saying things like “frame,” “BTS,” “room tone,” “boom operator,” and many other film-related jargon that was completely foreign to me. I was an extra in a short film called Souls that Balance. The title, taken from the first line of this poem, intrigued me from the start, and it was great fun to make my first foray into the acting world with such a great team of people and what seems like an incredibly creative script. To qualify that statement, I should hardly call what I did acting since all you can see is the back of my head, but still. I was on a film set! Details matter – like, every single detail in every single shot matters. I have so much more appreciation when I watch films now. A lot of waiting around. I can see how people on a film set can get really close in a short amount of time, because you’re all waiting around together in the same space. The community part of it was the highlight. I think there’s a tendency to glamourize actor’s lives and the work they do, but after this experience, I didn’t see any glamour—just a lot of work. Saying your line over and over again as if it was the first time. Or saying the line perfectly but having to redo it anyway because some detail was out of place, or the camera angle was slightly off. Requires a lot of patience and concentration. It’s all about the light. One of the other extras who’s involved in the Vancouver acting community told me she immediately knew how serious the production was by the lighting equipment on set. Seems like so many things/professions depend on the light. Photographers, painters, lovers. 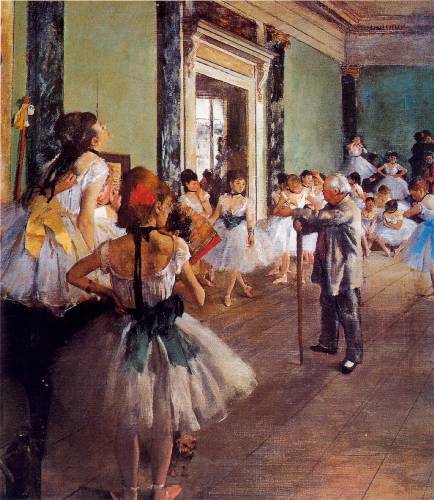 This film experience made me think of the Impressionists who made light their subject. 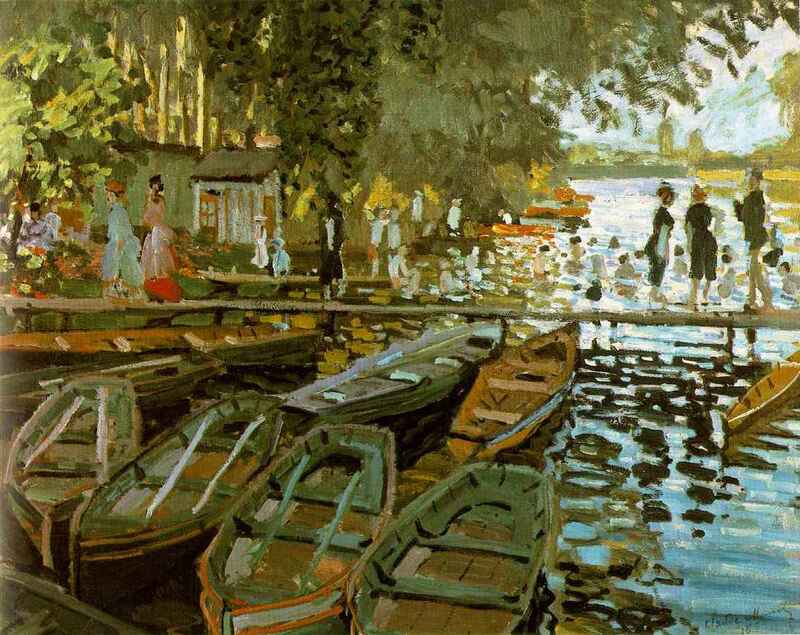 Sure, they painted boats and people and gardens, but the subject of their paintings—what they were after—was how the light fell on the boats and people and gardens: how our perception of things depends on when and how we are seeing it. 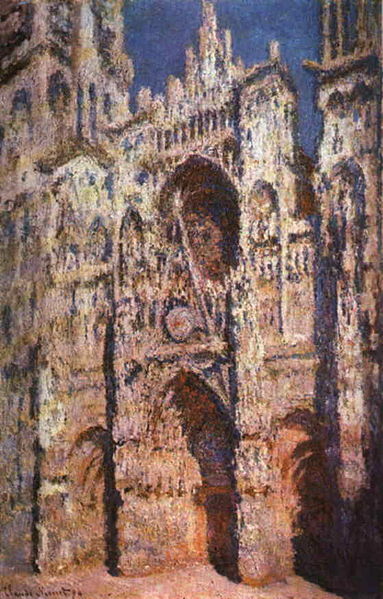 Take Monet’s Rouen Cathedral series for an example. Over thirty paintings in total, different seasons, different times of day. 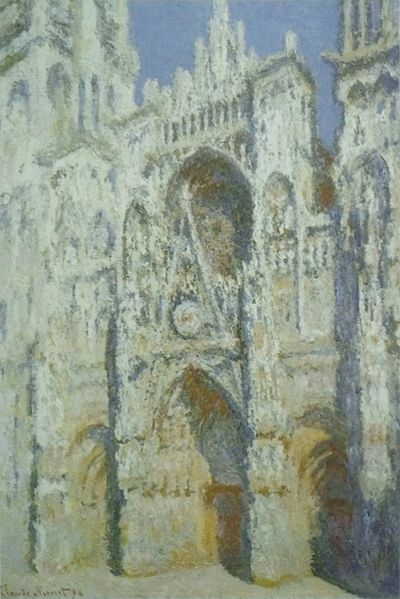 As the Wikipedia entry states, the cathedral provides an interesting juxtaposition between a solid, permanent structure and the evanescent quality of light. When the light is right, you just know. I knew when I was in New York City and took this photo. This was my favourite picture from the whole trip, all because of the light. No touch-ups, no Photoshop, no nothing added to it. Just sun and sky and stone kissing at 1047 Amsterdam Ave in Morningside Heights. 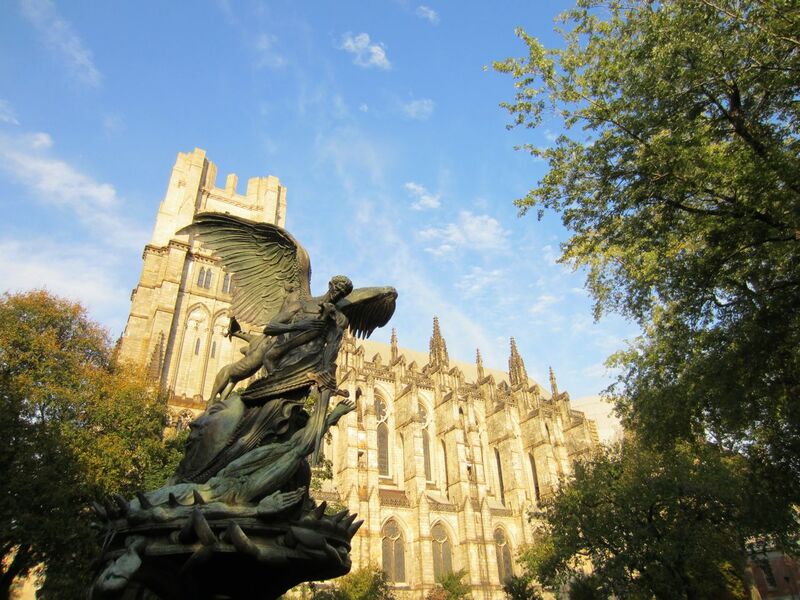 Cathedral Church of Saint John the Divine, NYC. Charlene Kwiatkowski 2011. 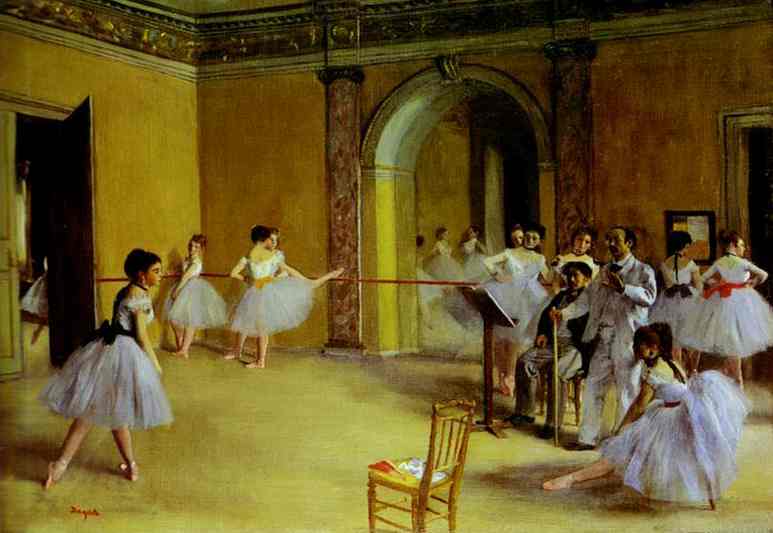 On the subject of Impressionists, Degas’ ballerina paintings similarly convey the unglamorous work that goes on behind-the-scenes (BTS) of anyone who performs. 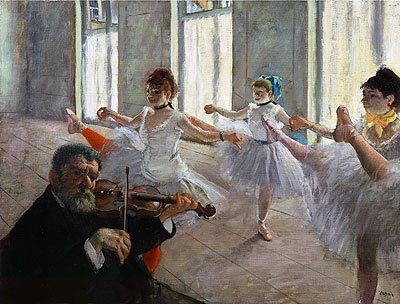 While he also painted ballerinas performing on stage in front of 19th-century bourgeois Parisians, many of his pieces show ballerinas in rehearsal—training, stretching, and yes, waiting. 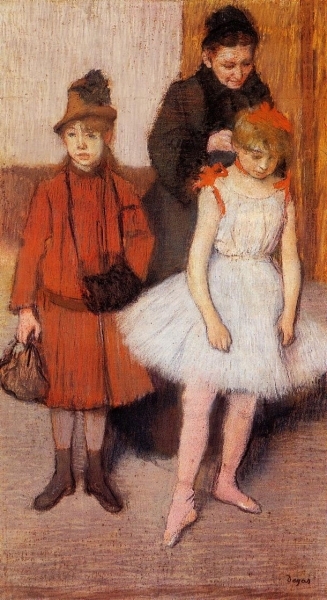 In this way, Degas’ works give outsiders a view from the other side, behind the curtain where it’s all work, fatigue, and routine. And some critics didn’t like this “backstage pass” so to speak because it wasn’t pretty. But it’s true. What truth! What life! How all these figures hold the space, how exactly the light bathes the scene, how the expression of these physiognomies, the searching look of the mother whose hopes rise when her daughter’s body unbends, the indifference of comrades for well-known weariness, how these are etched out and noted with the perspicacity of an analyst at once cruel and subtle. 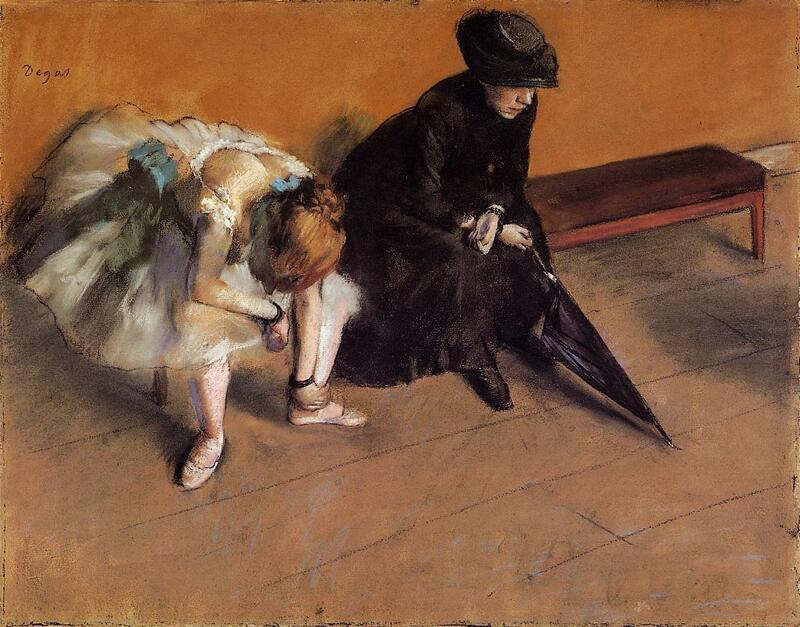 This makes Degas a realist, or a naturalist to use the artistic term. What backstage truths have you encountered, whether it be in the performing arts or other industries? Valentine’s Day is fast approaching, and if you’re looking for a quirky, indie-type film about finding love in the age of urban alienation, I recommend Sidewalls (2011). It’s in subtitles. I’m not just recommending it for couples — in fact, I think it appeals more to those who often find themselves on the outside looking in when it comes to love. Like the store windows Mariana designs and displays her mannequins in, the film navigates that lost space between inside and outside where you don’t really know what space you want to stand in and commit to. You want the city to see you but you also want it to swallow you. I knew nothing about Buenos Aires before watching the film. 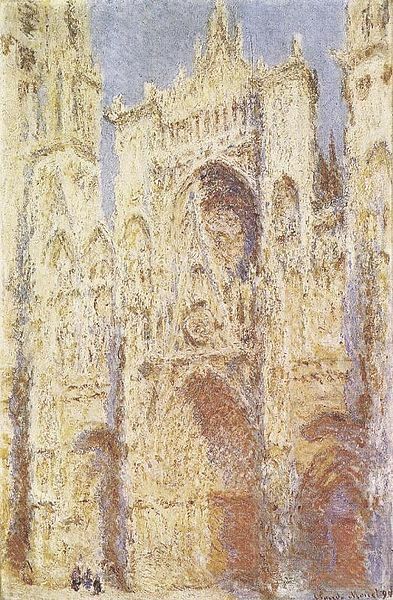 I still don’t know much, but I did learn that it is a poorly planned city, a hodgepodge of architectural styles that looks like a blindfolded kid was handed way too many pictures and not enough cardboard and was told to make a collage. Just glue them all down! Next to a tall one, a small one. Next to a rational one, an irrational one. Next to a French one, one with no style at all. 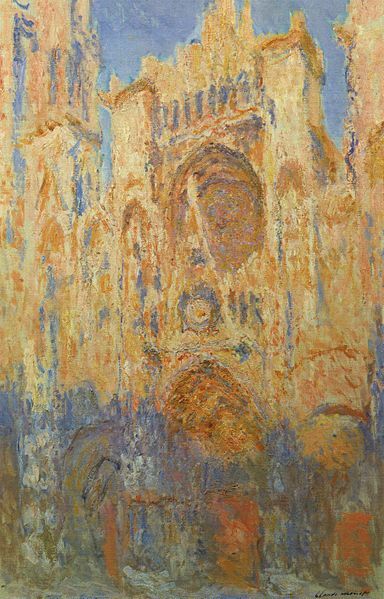 You can probably already tell the film delves into the philosophical – and, of course, the architectural. I really liked the emphasis on how the architecture of the city reflects the architecture of our lives. People are not that different from buildings. Martin and Mariana live in next-door apartment buildings and are perfect for each other in a city where they keep meeting other people who aren’t perfect for them. The only problem is Martin and Mariana have never met. A sidewall (medianeras) between their buildings separates or connects them, depending on which way you look at it. how can you find a person when you don’t know who you’re looking for? Don’t let my poem mislead you though – watch the film yourself. And on the subject of side-by-side lives, check out this piece.